I have very few beauty lines that I fall head over heels in love with. Especially the natural/organic lines. I love love love the idea of only using natural and organic ingredients in my skincare, but when you have difficult skin sometimes you just need to get straight to the chemicals. I know that sounds awful, but essential oils can only take you so far - for me anyway! But that's neither here nor there! Let's get to the point...I have found the mother of all natural and organic skincare lines. I stumbled across her page on Instagram. The beautiful photos of Hawaii, her beautifully descriptive captions, the warmth that exuded from her page...I felt like I was taking a little trip to the islands. I could practically smell the tropical flowers, honey, and coconut. I needed everything she made and I needed it right then and there! Growing up on an island myself, I am always a sucker for anything that reminds me of being there. Here are a few of the products I ordered and my thoughts on them. 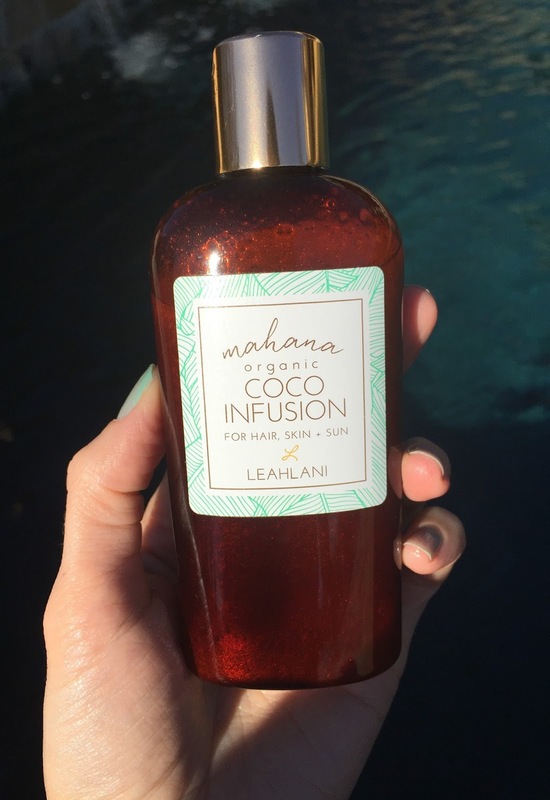 Coco Infusion: A tropical luxury body oil made with pure unrefined coconut oil, cold pressed organic macadamia & kukui nut oils and gently infused with sea buckthorn oil. I got the scent 'Mahana' which is a fusion of organic vanilla and coconut cream. The smell alone will take you to the warmth and sunshine of the tropics. I use this on my entire body when I get out of the shower. I got the one that has a beautiful gold sheen to it. I swear I look like I am glowing from within. Since it has coconut oil in it, it can solidify with colder temps. Just keep it in your shower so it's nice and warmed! 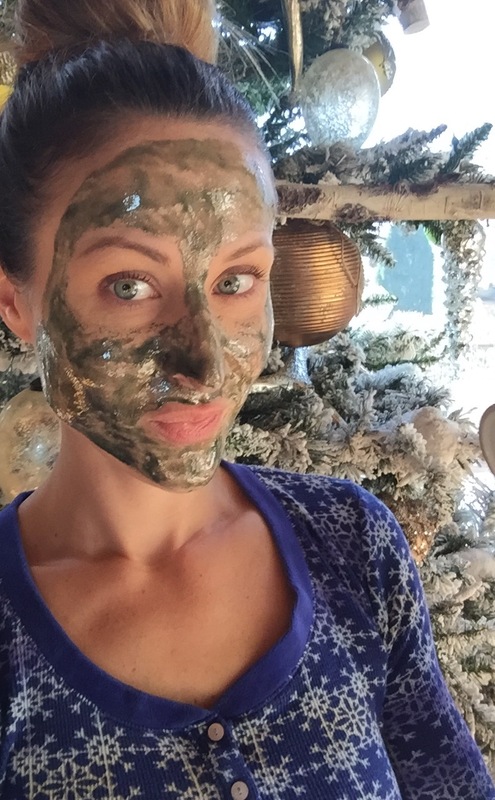 Mermaid Mask: This mask is a superfood for your skin. With Hawaiian raw honey, Hawaiian spirulina, Chlorella, sea buckthorn, luminess algae and 15 botanicals. Your skin will drink up this elixir and radiate. I swear one product smells better than the next. This feels like a nice, thick honey consistency and glides right onto the skin. It never hardens or cracks. It leaves your face so happy, plumped, and glowing. I just feel so good knowing I'm feeding my face with such goodness! Champagne Serum: A dime size amount is all you need to dramatically change the appearance and texture of your skin. Loaded with antioxidants, your skin will drink up this cocktail and be sure to thank you later. I have been using this as my daytime serum under my SPF moisturizer. It has quickly become the ONLY oil I can use on my face. Usually they all break me out. This is so light, absorbs right away, and is never greasy. This is a must have! It contains: organic cold pressed grape seed oil, organic jojoba oil, organic rose hip oil, Vitamin C & E, ginkgo boloba, olive leaf extract, roobibos leaf, white tea, green tea, rose water, and rosemary antioxidant. WOW! Honey Love Microdermabrasion 3-in-1 Cleanser, Mask, & Exfoliator: A blend of essential oils, vitamin C & E, organic flower powders and 100% raw and organic Hawaiian honey made from Hawaiian Island bees will transform your skin, and leave you with a soft and dewy complexion. Raw honey is a humectant, attracted and retaining moisture to your skin. Honey also contains flavonoids and antioxidants which work as antibacterial agents making it great for oily and acne prone skin! As soon as you open the jar and smell the rich Hawaiian honey, you will be hooked! It is truly a sensory experience. I have to say my skin has been super clear and soft since I've been using this. I already reordered because I want it on hand when I run out! "There is a lot of research that goes into each ingredient, and then a very long testing phase. An ingredient has to captivate all of my senses. The texture, the scent, the feeling on my skin when applying, and how the skin resonates with each ingredient once it is left on the skin and once it is washed off. The entire experience of using each ingredient must be lovely, it should be unique and thoroughly enjoyable. And then, once you start blending and infusing, that's when the magic happens. Ingredients begin to transform and metamorphose. It is pure plant, oil, fruit, and nectar alchemy for me. It is very similar to cooking in a way and I am very much in love with the entire process. Skin benefits are essential for choosing ingredients. I adore pure, raw organic Hawaiian honey for its antibacterial properties and moisturizing factors. You can find it in our Honey Love, Mermaid Mask and new products we will be launching soon. Tropical oils are some of my favorite, you will find cold pressed, organic oils in our Coco Infusions and Serums. Essential oils are crucial for their skin and aromatherapy benefits. I am particularly fond of French Lavender, Chamomile, Blue Tansy and Neroli. I love superfood ingredients that promote cellular renewal and literally "feed" your skin. You can feel them working their magic on the skin, and the glow that you are left with is the proof. Our Mermaid Mask is full of superfood ingredients, and is essentially a 'skin food'. I love both calming and stimulating ingredients. Some women enjoy clothing or shoe shopping, for me, its ingredients shopping for my products that makes my heart skip a beat. You know- my husband named our company 'Leahlani', Lani means heaven in Hawaiian, and he said when I was talking about skincare of facials in the studio blending...I was in heaven. He is right! All of our ingredients I use are the best that mother nature has to offer and help the heal and replenish the skin, tried and true." ***Note: Even though it ships from Hawaii, the shipping is SUPER fast! Mine got to me in a few days!